I admit to falling behind in 2016, but I am set to approach 2017 with new energy and commitment. 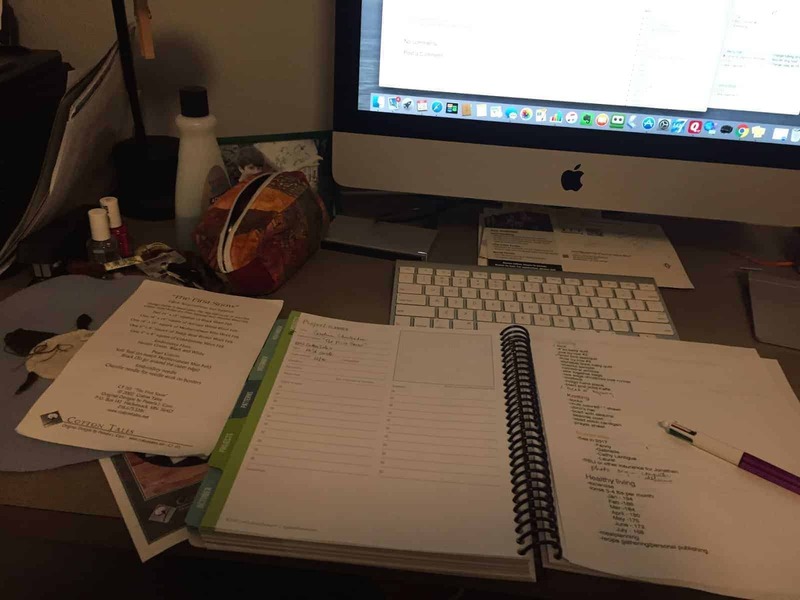 I did a massive reorganization of my lists and am entering them into the planner. I found that there are probably not enough quilt planner pages, so I may need to add in a few more as the year goes on. Another approach is to only use those for the original projects, so I stopped entering and turned to this…. Here’s what my desk looks like in this process – planning tools, sewing project and nail polish and remover. A lot of things taking up a little space. I thought I’d be quilting this week, but again too many things have gotten in the way. I’m grateful for some of them and saddened by a few others. 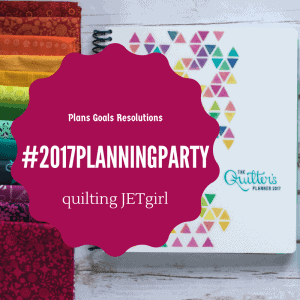 I am learning to carve out time again for me and this is a big help scheduling all the quilting plans and some other organizing plans too. In January, I’ll catch up my blog with a few of my projects that I did accomplish while not paying attention to my blog. I never expected having my son back from college and my husband deciding to retire to take up so much of my time! What great goals. I love the idea of using stash for your planned quilts. I wish you the best in 2017. Thank you so much for linking up! On the learning new skills for social media and publishing front, you might want to consider signing up for the New Quilt Bloggers blog hop – signups open on February 1st. I agree that there could be more project planning pages in the Quilter's Planner but I know the maker, Stephanie, struggles with how much for it to contain and the size/weight of it! Thank you so much for linking up and Happy New Year!